This is like the classic Endura Humvee (our best selling loose-cut MTB/street riding shorts ever) with the additional benefit of knee coverage. 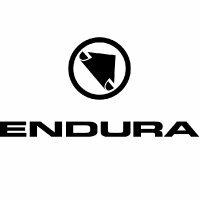 I have owned a pair of Endura Hummvee 3/4 shorts now for the past 4 years with these as my second pair. They are fantastically made and designed products with plenty of pockets. The large rear pockets are great when in the workshop as they will easily fit big tools like spanners and Tbar Allen keys. As for cycling in, the shorts they are shaped with a slight bend in the knee which makes them very comfortable when out the saddle on the bike. They also don't get snagged on knee pads like most 3/4 length mtb shorts. All in all they are an excellent product and they come in a few colour options to suit any rider. I rate them 10/10. 3/4s come highly recommended because they offer more freedom of movement than full-legged longs, yet more coverage than shorts. Most crucially, 3/4s offer knee protection (chilled knees can become sore knees). Also, some people who feel self-conscious going around in shorts feel perfectly comfortable wearing 3/4s. Respect is earned. Trust is forged. Reputation is hard won. Our Hummvee short has been the last word in durability for nearly two decades, since we sat down with a group of straight-talking London cycle couriers and designed what they needed in a short. of flattery, but we like to stay ahead. Because of these properties it was also immediately adopted by mountain bikers.